Dr. Jim Shepherd, the director of choral and vocal music at Austin Community College, will become the new Artistic Director for The Austin Singers at the start of the new 2010-2011 season. The appointment of Dr. Shepherd represents a major change for the 15-year old choral organization. Originally, an outgrowth of Chorus Austin, the 50 voice group was founded in 1995 by Lanier Bayliss who directed the choir for its first ten years. Dr. Shepherd hopes to integrate his main choral group at ACC with The Austin Singers. This would both increase the numbers of The Austin Singers and provide diversity. He also hopes to tap the resources that he has access to as a member of the music faculty at ACC. Shepherd is an associate professor at the Northridge campus. Before moving to Austin, he taught high school choral music at a Top 100 Grammy Signature School in Indiana. As an instructor at The University of Texas at Austin, he served as the director of the Longhorn Singers and assistant director of the Choral Arts Society. Shepherd keeps a busy schedule presenting at conferences and workshops, as well as guest conducting choirs. His recent presentations were made at the Texas, Kansas, Mississippi, Oklahoma, and Southwestern MENC music conferences, as well as the National Institute for Staff and Organizational Development International Conference. 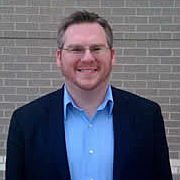 He earned a DMA in choral conducting in 2008 from The University of Texas at Austin. At ACC he teaches concert and jazz choral ensembles, as well as voice, conducting, and music fundamentals. Dr. Shepherd will, no doubt, put his own stamp on the chorus. The Austin Singers have gained a unique position among Austin-area performing groups. Its innovative programming uniquely focuses on choral works from different cultures and countries, recognizing and reflecting the diversity of the Austin community and the power and beauty of music throughout the world and throughout time, a vision begun by the original director. According to choir leadership, Shepherd is keenly interested in keeping The Austin Singers closely involved in the local community and in strengthening the connections the group has formed with other non-profits, churches, and other performing groups. For more information about The Austin Singers, visit http://www.austinsingers.org. I just looked at your website to get your concert dates, as I’ve attended most AS concerts since 1995. I’m pleasantly surprised to see that you are the new director, and I’m sure that AS will continue grow under your direction. I tremendously approve of your combining the AS with the community college singers. Such a move will help AS vocal strength and will result in a larger grant from the City of Austin. I’m been singing since 1992 with Austin Civic Chorus, which also rehearses on Mondays. I’m pleased that rival Austin choral organizations are thriving. I don’t believe Dr. Shepherd’s father was a choral director.